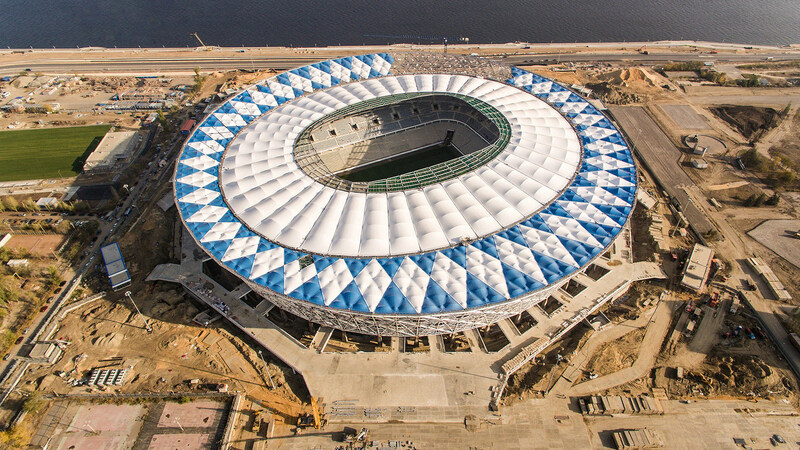 TECHNICAL SPECIFICATIONS Owner: Ministry of Sport of the Russian FederationArchitect: PI-ArenaCapacity: 45,000 seatsDescription: the Volgograd Football stadium has been designed for the 2018 World Cup. The roof structure is supported by columns and consists of a tensioned cable net made up of internal tension rings and a perimetric compression ring. The lobby roof connects the compression ring to the ring at the top part of the façade by way of intersecting latticed beams.